Rugged and powerful 2017 Jeep Grand Cherokee Overland for sale in Colorado Springs. This Jeep is perfect for a comfortable daily commute but is also capable and powerful enough for a weekend trip to the Colorado mountains. It has so many super features to provide driver and passengers with a great travel experience. Enjoy power moonroof, 20″ wheels, navigation system, 10-speaker Uconnect sound system, power liftgate, rain-sensing wipers, and heated front & rear seats. Innovative safety features include Blind Spot and Cross Path Detection plus rear parking sensors. You will love the impressive power and performance of the 3.6L V6 engine with 8-speed automatic transmission. This is an amazing value at only $32,458! 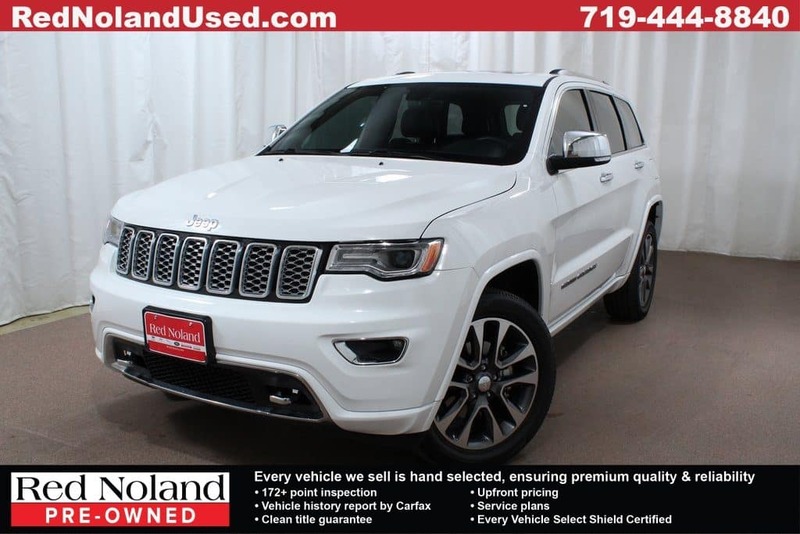 Visit Red Noland Pre-Owned today and let us show you the great features of this 2017 Jeep Grand Cherokee Overland!